Life is busy and hectic! The Bible is taught and modeled in relevant and exciting ways to every age and for every season of life. We desire to invest in the spiritual, mental, recreational and social needs of our community. “I just can’t relate.” “I’m too busy.” “How can a book written thousands of years ago help me today?” Have you ever heard someone say such things about the Bible or about getting involved in a local church? Perhaps you’ve said these things yourself! 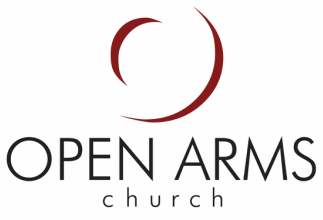 The foundational premise of Open Arms Church is that God’s Word is relevant, it’s worthwhile, and God uses it to teach us everything that we need for “life and godliness” (1 Peter 1:3). In the same way that Jesus used parables to connect the teachings of God to the culture of His day (evidenced by the 37 unique parables recorded in the Gospels), so too the heartbeat of Open Arms is to teach the timeless truths of God’s Word in a way that encourages tangible application for today’s listener. This process of discovery must begin with understanding each passage of Scripture in its biblical, historical, and cultural context, seeking to uncover the main idea and then applying that main idea to wherever we may be in our journey with the Lord, always under the umbrella of how it points to Christ and the good news of the gospel. For that reason, our primary teaching style is to move verse-by-verse through a book of the Bible. By not skipping the “hard parts” and by not “cherry-picking” passages that have personal appeal, we trust in the sufficiency of God’s Word to show itself relevant to any and all situations of life. Not all of us start with that belief though; we don’t automatically grow up thinking that every part of Scripture is relevant to every part of life. We all need different on-ramps to that foundational truth. For some, the on-ramp is faithful attendance at Sunday morning services – which is why every service is centered around God’s Word. For some, it’s participation in a small group, studying the Bible and sharing life with others from a variety of backgrounds – which is why we offer Growth Groups. For some, it’s through connections established as kids – which is why we offer comprehensive programming for children on Sunday mornings and for youth on Sunday nights. For some, the on-ramp is sports – which is why we host basketball, volleyball, softball, unicycling, and other activities for our church family and the community. The on-ramps may be different, but the destination is the same: we want to “grow up in every way into Him who is the head, into Christ … until we all attain to the unity of the faith and of the knowledge of the Son of God, to mature” (Ephesians 4:13,15).